There were many other notable artists and favorites in this year’s exhibition who didn’t win awards. Let’s take a look at a few I found interesting. 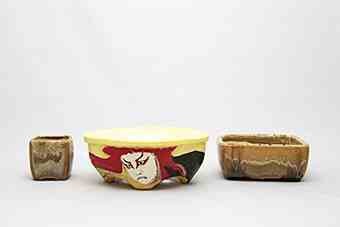 My friend Ruban Yu of Taiwan entered a nice set of 3 painted containers, showing a nice diversity of form and interesting style to the paintings that is every bit unique. 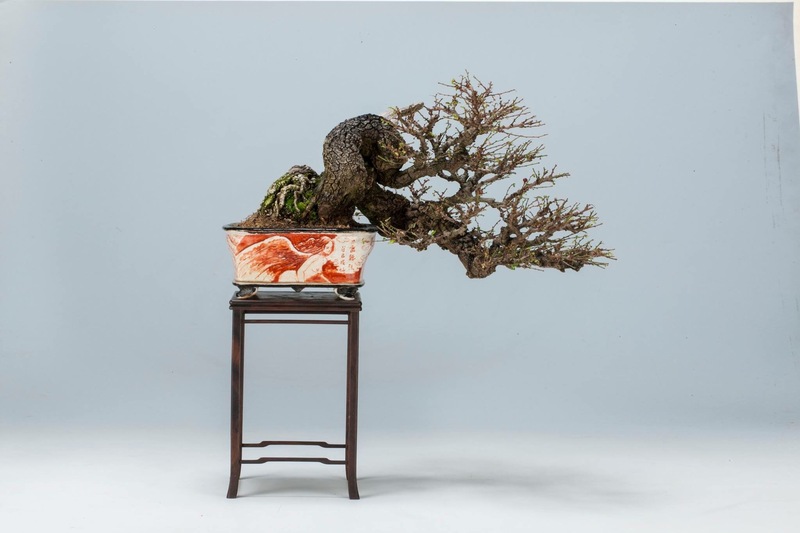 Ruban’s containers pair very well with bonsai, I’ve seen some fantastic examples from Taiwan. 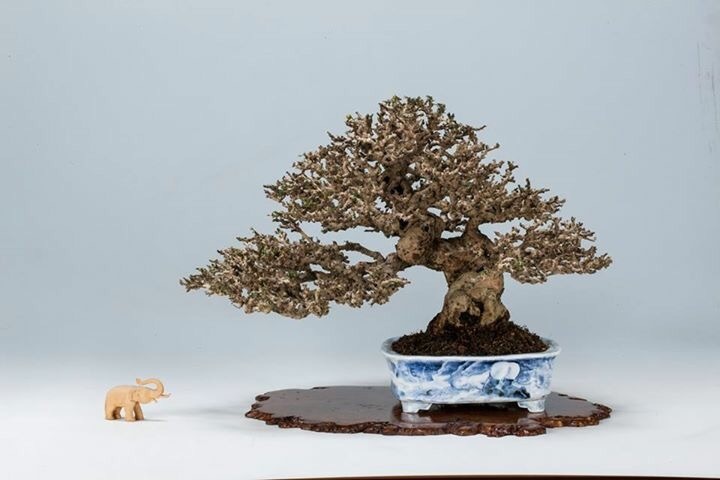 That’s perhaps the best Fukien Tea Shohin I’ve seen, and I’m quite envious of the second tree, as well, a collected Taiwan Native, Breynia Officianalis. Give his website a visit to see more of his work here: Ruban Yu. 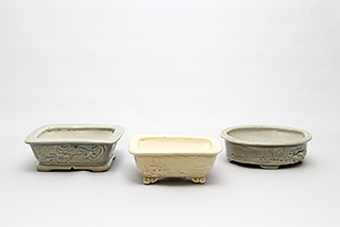 One of the three students of Bushuan in this year’s competition, Shunhou presented three unglazed pieces. Excellent clay work is apparent, a bit more diversity of form and I think he would have taken a prize. 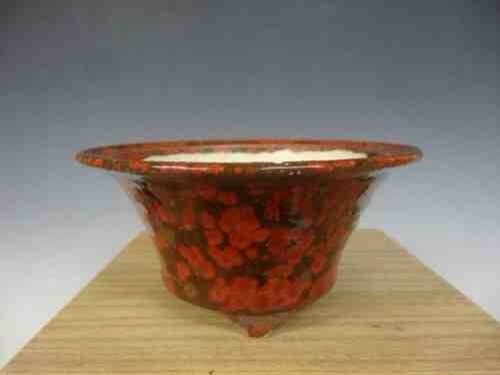 The entry from another blog favorite and renowned Japanese potter Hayashi Tyukan. I was quite surprised this entry didn’t take a prize. For more on this artist, there’s an article in the TOC. That Ken-Rinka Shape round is absolutely breathtaking. 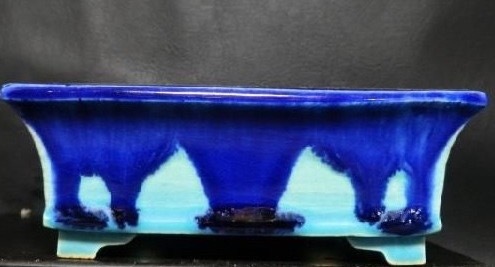 The entry from renowned Kyoto potter Koto Chukan. 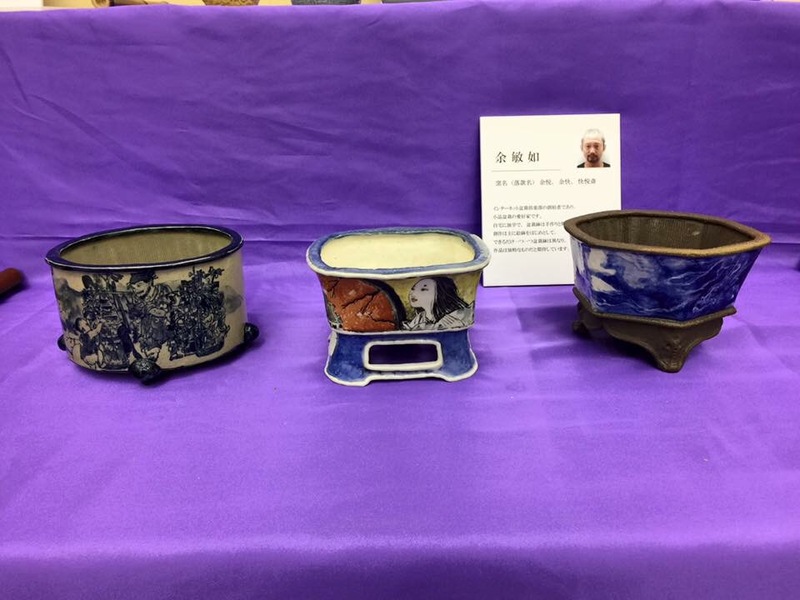 Very rarely do I say anything negative about the containers I showcase here, but this year, I was a bit disappointed with Chukan’s entry…..
A couple of other pieces from Koto Chukan, to illustrate my disappointment. 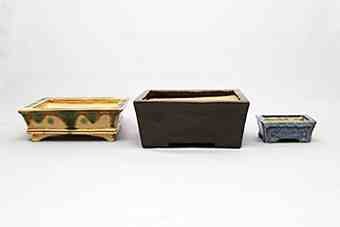 A trio of nicely carved and glazed pieces from friend of the blog Kiyoshi Koiwai. Very excellent footwork and very nice geometric carvings as well. 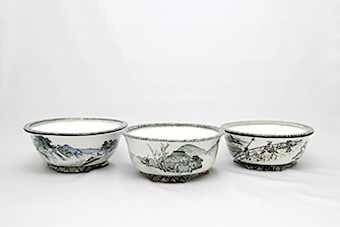 A three piece entry from former Ishida Shoseki student Shosui. 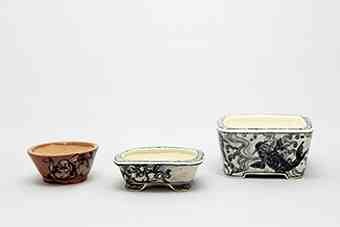 These are some of the best detailed containers I’ve seen from this artist. 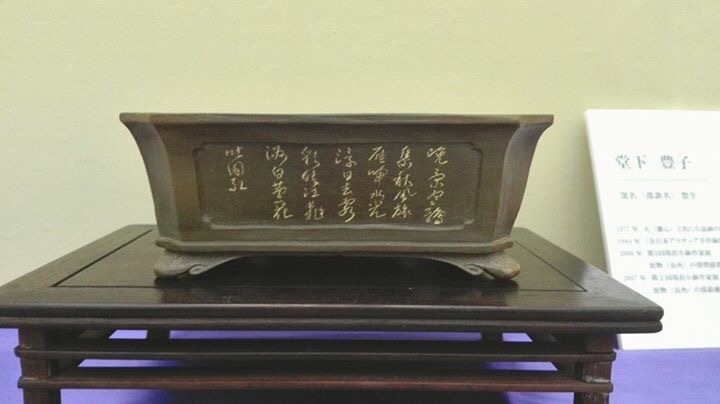 A 3 piece glazed entry with relief carvings from friend Tani Ranzan. 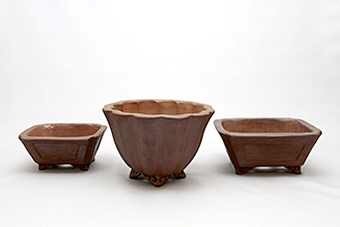 Ranzan has an incredible diversity of talent, and excels at carvings, paintings, and clay work. 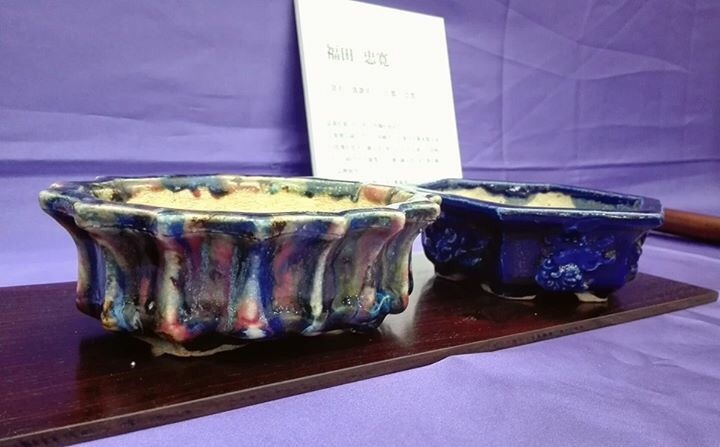 The 3rd Bushuan student to be accepted to the exhibition, this 3 piece offering comes from Michiko Jinbo, wife of glazed category winner Hiyashi Jinbo(Jinbe). One can really see the influence of her teacher in the container on the left…..
Bushuan from my collection showing a very similiar glaze style and form. 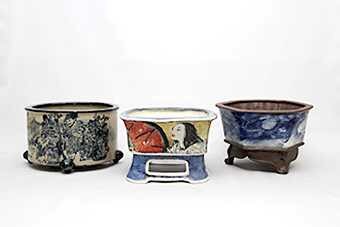 A really nice trio of painted containers from Kenji Kobayashi, who took silver in the category in 2014. Nicely detailed and excellent clay work. 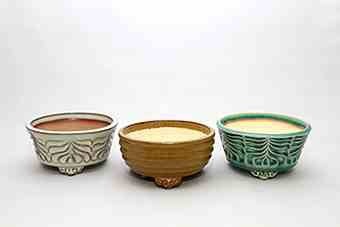 A trio of painted containers from Yamachi(山ち), Tomoko Ishikawa. Excellent detail and good variety of painting and shape. The entry from Tomoyoshi Tamura, the brother of the the silver award in the painted category. 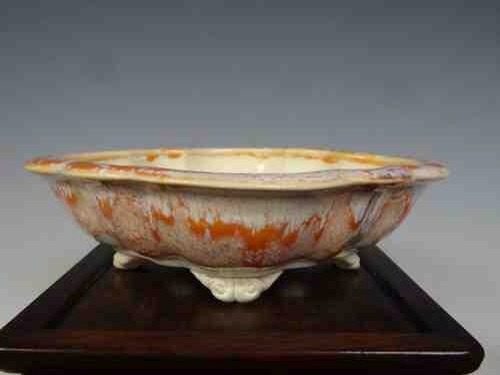 Very interesting glazes and painting. Last up from the exhibition proper, we have the entries from the husband and wife Doshitas(Doshita Keishin and Doshita Housei, respectively). Keishin and Housei do marvelous work. 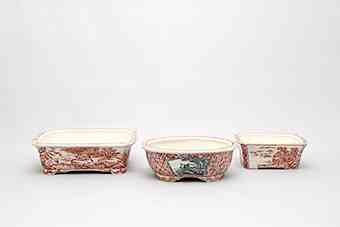 Her paintings are excellent and highly detailed, while his unglazed containers show fantastic clay work and a rare talent for magnificent calligraphy. I think it likely these two pottery pros are the reason top honors are no longer given back to back, as both won top honors in their respective categories in the first couple of Exhibitions. Look for full articles on them in the coming weeks. In addition to the Container exhibition proper, there were two pottery displays in the Gafu Ten that I thought were worth a look. 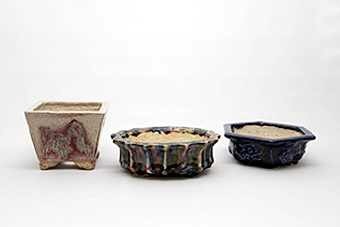 The above 7 point display features 6 containers from Heian Tofukuji, and a small painted container from Tsukinowa Yusen. Great variety of form, depth, texture, and shape. 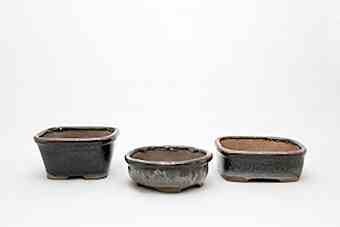 The second pottery display I enjoyed was a 7 point featuring all works by Ichinokura Sekisyu. 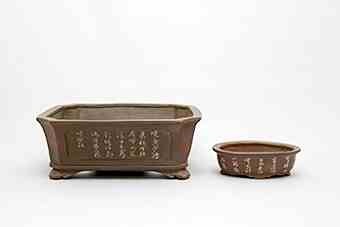 Again, good diversity of shape, but I would have liked to see at least 1 each of the unglazed and glazed containers Sekisyu also excelled at creating. 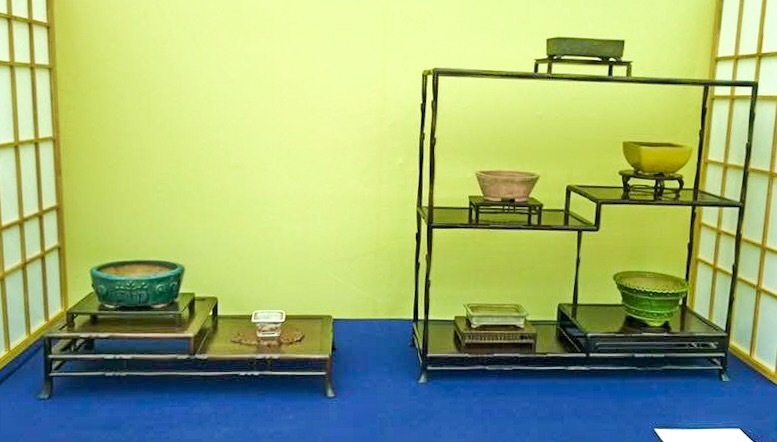 If you’d like to read more and see more of the The Shohin Bonsai Pottery Exhibitions, check the Table of Contents for my reports on previous shows, and also visit 2016 Kobachi for the other entries from this year! 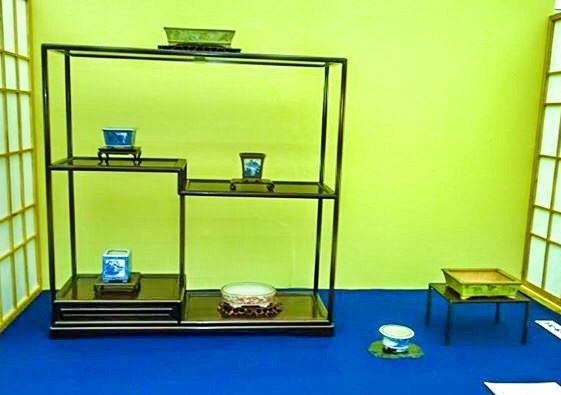 Considering the quality of their work we don’t hear that much from Taiwan. They must must be sufficient unto themselves.